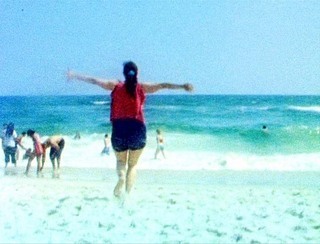 "Walk Away Renee" is available on SundanceNow's new Subscriber Video-on-Demand Program Doc Club from June 27, 2012. When you were young didn't you think your parents were crazy? Did you swear you wouldn't turn out like them? 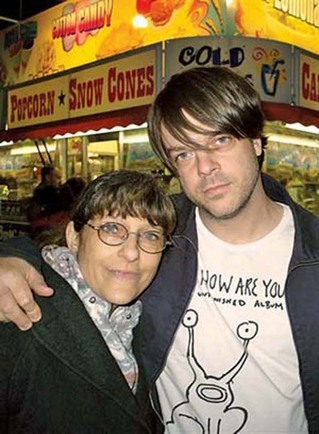 For filmmaker Jonathan Caouette, those two worries have defined his life because his mother suffers from bipolar personality and schizoaffective disorders, something that he focused on in his award-winning 2003 documentary "Tarnation." 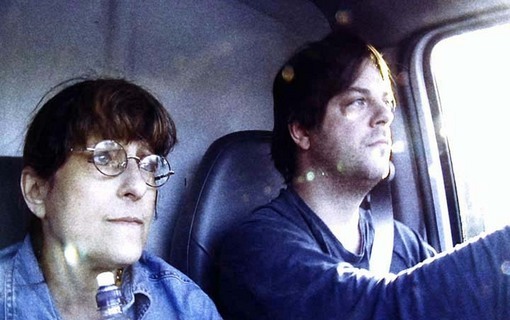 In his new film, "Walk Away Renee," Caouette brings us up to 2010 with the focus on Caouette driving his mother, Renee LeBlanc, in a U-Haul from Houston to New York. For a dysfunctional family, road trips can be filled with emotional landmines. For Caouette, this bonding experience starts out well, but early on, they lose Renee's 30-day supply of lithium. Without her mood stabilizing meds, you know that things can only get worse. 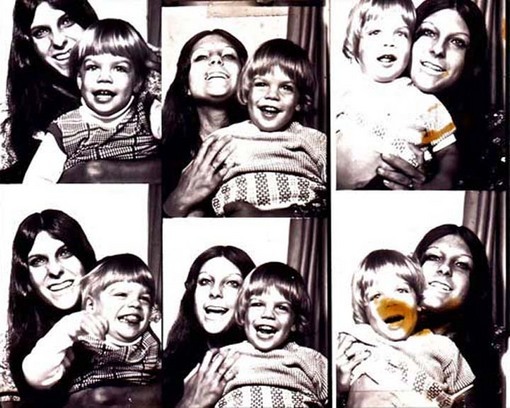 For people who have bipolar relatives, this story might seem heartbreakingly familiar. Caouette's "Tarnation" begins with overexposed grainy images. The highlights are blown out to white; this isn't a technical problem, but an expression of panic. His mother has overdosed and the documentary then shows the events building up to this emergency. 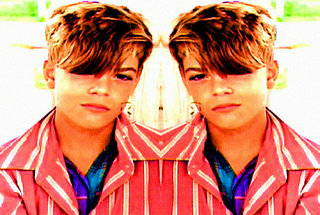 Caouette began filming his family in 1984 and in "Tarnation" we see him as a young troubled boy, starved for attention and trying to make sense of his world, his sexual orientation and the mother he loves while being raised by his overwhelmed though well-meaning grandparents, Adolph and Rosemary Davis. Renee was an only child, and for a while, she was a local celebrity in Houston. Having been discovered by a photographer, she worked as a regional child model. When she was 12, she fell from the roof and was paralyzed for six months, during which time her parents decided to treat her with shock therapy twice a week for two years. that Electroshock therapy (now electroconvulsive therapy or ECT) can cause memory loss and one imagines having one's childhood memories erased, distorted or fragmented would create alarming confusion in a teenager. As a young woman, Renee married Jonathan's father but he left her before Jonathan was born. Eventually, Renee was jailed after a disastrous trip to Chicago and given more ECT. Jonathan was placed in foster homes for a couple of years until his grandparents adopted him when he was six. As Jonathan grew up, acting out and expressing himself through various creative endeavors until he finally formed a stable family unit, Renee became increasingly unstable. Caouette's debut experiments with split screens and filters, mixing old photos and Super-8 film with more recent video footage and telephone answering machine messages. "Tarnation" is an eclectic patchwork of family record and performance that was originally edited using iMovie on a Mac with a budget of about $200, and went on to Sundance and several other festivals. While Caouette toured the festival circuit, his life partner, David Paz, took care of Renee. 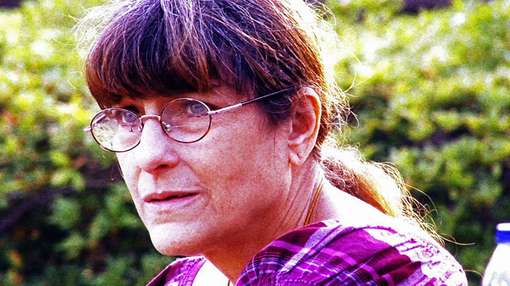 In his new documentary, "Walk Away Renee," Caouette doesn't expect the audience to have seen "Tarnation," and after some quick establishing shots of a young girl in grainy old footage contrasting more contemporary video of an older woman wearing a bright red knit cap roaming crowded city sidewalks, he gives the audience a condensed version of their tragic back story. Then we get to the U-Haul and a weary Caouette with his mother Renee -- both older and heavier. She wants to leave the group home in Houston and Caouette is determined to move her to a group living situation closer to him in upstate New York. Some of Renee's front teeth are missing and when she's coherent, she is a bit embarrassed. Caouette walks with less joy and more resignation. This isn't going to be your usual road trip saga. Caouette warns us at the very beginning of this movie by quoting Albert Einstein: "The distinction between past, present, and future is only a stubbornly persistent illusion." Then they lose her meds and we witness Renee disappearing into her own world, her own dimension. In "Tarnation," his grandmother Rosemary died. In this documentary, his grandfather, Adolph dies, and that requires a bit of backtracking before returning us to the road trip. This isn't the first time Renee has walked out of a group home situation. This isn't the first time Caouette has moved Renee to New York -- he brought Renee and Adolph together to live with him a few years back. Caring for his grandfather, his mother and his young son Joshua has depleted Caouette's savings. Despite the bigger budget and advances in technology, this documentary has some amateurish aspects, such as over-exposure, light flares and even drops of water on the lenses. But such cinema verite clichés don't significantly detract from this very personal scrapbook-like documentary. 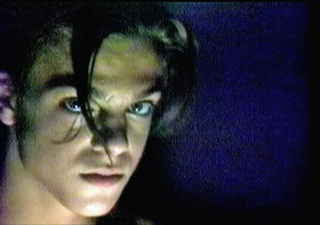 Caouette's melding of family photos and videos with pop culture references (including science fiction), his layering of images and used of montages and multiple panes that we saw in "Tarnation," and his obvious affection for underground movies, make "Walk Away Renee" an elevated home movie for a family that has had more than its share of tragedy. As in "Tarnation," there's a stream-of-consciousness feel. Consequently, some of the transitions -- from place to place or even the timeline -- are abrupt. Images are layered or juxtaposed like haiku in both movies, but this time there's more emphasis on the family unit as opposed to Caouette's struggles with identity and stability. The veracity and rawness of emotions are what carry this movie, along with Caouette's sensitive soundtrack choices. At the more basic level, in "Walk Away Renee" Caouette asks the same question he asked in "Tarnation": How should we care for the people who raised us and how should we care for the mentally ill? Caouette's frustration with his mother's mental state and the medical bureaucracy has burned away some of his youthful optimism and yet his persistence is admirable. We might not all end up like our parents, but someone must look after our parents and that sets up a frightening financial future for many Americans. Somehow society must find a better way of looking after both the elderly and the mentally ill. If we can't care for our elderly, who will look out for us in our old age? To Caouette's credit, Renee may continue to walk away, but Caouette cannot walk away from her.